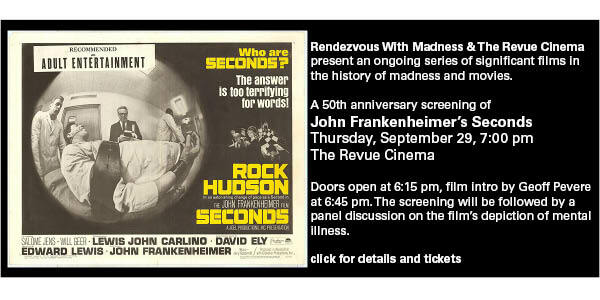 50 year anniversary screening, 35mm print! After a terrible industrial accident leaves Okuyama’s face covered in scars, his psychiatrist convinces him to trade his blank slate of white bandages for a lifelike mask made in the image of a stranger, warning him that the mask will change him inside, as well. 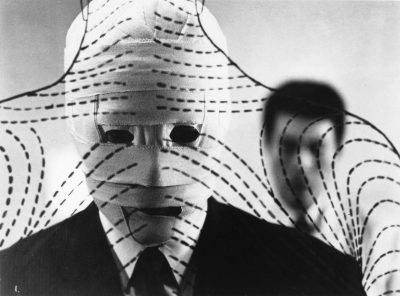 The third of Teshigahara’s collaborations with author Kobo Abe and composer Toru Takemitsu, The Face of Another is filmed in stunning black and white with his signature eye for the beautiful, surreal and horrifying. Geoff Pevere is the Programming Director of the Rendezvous with Madness Film Festival. 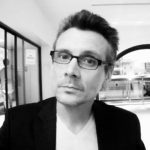 In addition to writing about pop culture at www.geoffpevere.com, he is currently working on books about the pop cultural mythology of rock music and the history of madness in movies.